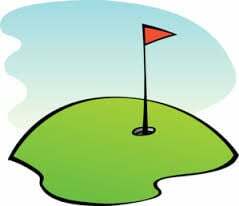 Waterloo’s three municipal golf courses — South Hills, Gates Park and Irv Warren Memorial — will open Monday at 11 a.m., weather permitting. Courses will remain open for the 2019 golf season if weather and course conditionals allow. Season passes are currently available at all three golf courses and at the leisure services offices at 1101 Campbell Ave., Waterloo. Additional information on Waterloo’s three municipal courses is available at www.waterlooleisureservices.org. The University of Northern Iowa men’s and women’s golf teams will host the UNI Invitational at Pheasant Ridge Golf Course on Saturday and Sunday. This tournament was put together after weather conditions forced the Bradley Invitational to be canceled. Men’s teams in the field include Creighton, Southeastern Community College, Western Illinois and UNI. Women’s entrants are Drake, Southeastern Community College, Western Illinois and Wisconsin-Green bay. This marks the first time the Panthers will host an event at their home course since the men’s team hosted Creighton on April 13, 2006. University of Iowa junior guard Maishe Dailey announced on Thursday that he has submitted his name in the NCAA transfer portal with the intent of departing the Hawkeye basketball program. The University of Northern Iowa has altered this weekend’s schedule for a series against Evansville at Robinson-Dresser Sports Complex. UNI will host one game at 2 p.m. Saturday followed by a doubleheader on Sunday at noon. Hawkeye Community College has signed Camanche senior Dalton Weber to its bowling program for the 2019-20 season. Weber is a four-time team captain who helped lead Camanche to back-to-back runner-up Class 1A team finishes the past two seasons.